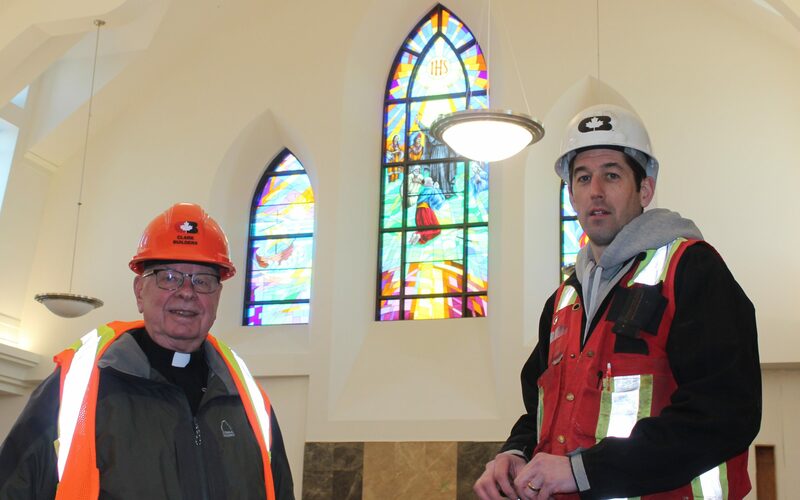 As the ambitious construction of a $14.5-million church nears completion in Camrose, there is no one more excited about it than Rev. Larry Pederson. “It is a special spiritual moment for me,” said Pederson, pastor of St. Francis Xavier Parish, as he unveiled some of the finishing touches being made to the new building. Pederson, who turns 75 on Feb. 14, has been working feverishly with a parish committee to see the completion of the expansive 35,000 square-foot church building project since it broke ground in May 2017. 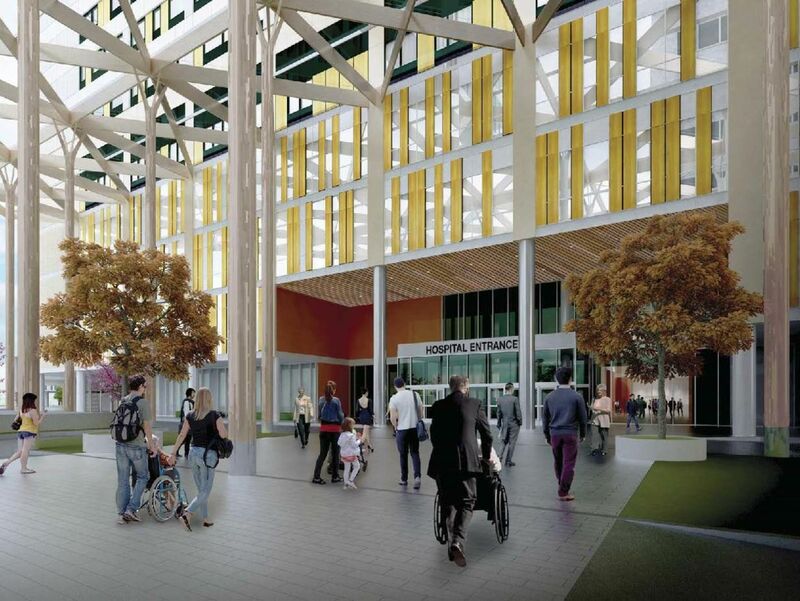 After a number of construction delays, the building is expected to be completed by March. It is fitting that the pastor born on Valentine’s Day, who is set to retire in August, would end his career with a labour of love. The new St. Francis Xavier Church marks a milestone for Pederson, who was born in Camrose and ordained in the old church in 1968. “I thought as the building advanced there would be less concerns, but it’s the opposite,” said Pederson, who is at the construction site almost daily, clad in an orange work vest and hard hat. “He’s got some real passion,” said superintendent Eric Nickerson of Clark Builders, who has overseen up to 70 workers on the site. “I’ve learned a lot from Father Larry,” he said, after months of studying the building needs for every liturgical element of the church. 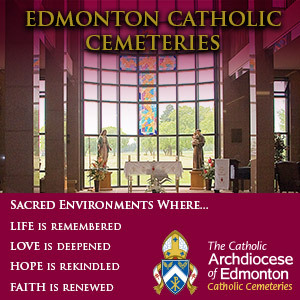 The sprawling church sits on more than six acres of land on 50th Street, the main drag in Camrose, a small city southeast of Edmonton. It includes a nave that can seat 650, and a parish hall that can seat 360 for a meal. The hall is equipped with a commercial kitchen and will also serve as a senior drop-in centre. 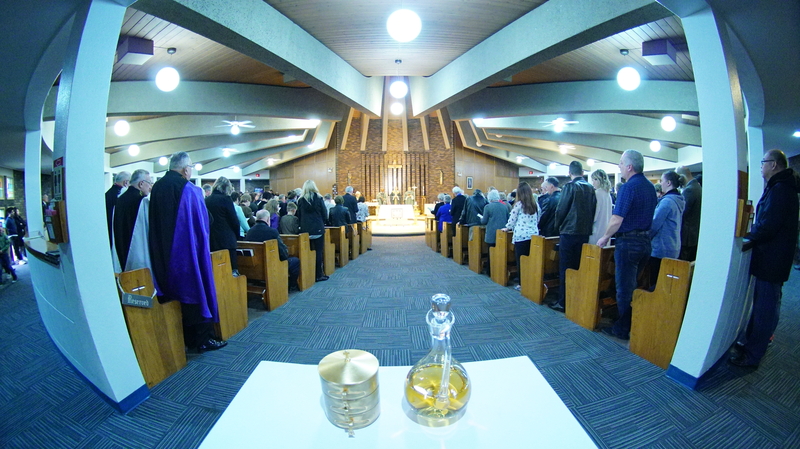 The parish had outgrown its current church, built in 1963, and decided in 2009 to build a new one.The old building, less than three kilometres from the new one, is now up for sale. 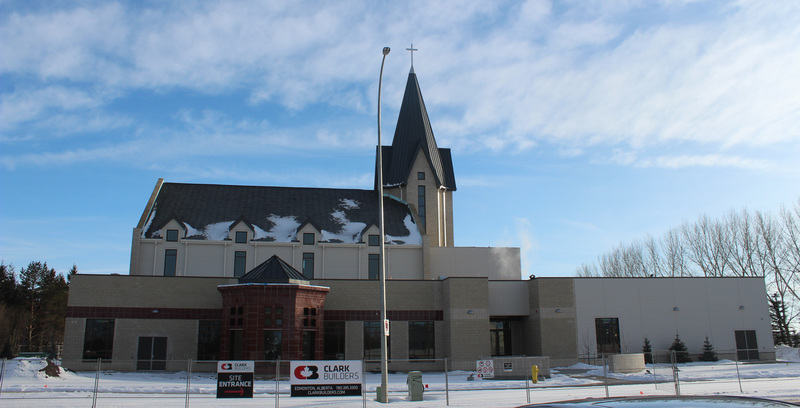 The new church build was funded by a loan arranged through the Archdiocese of Edmonton, said Pederson, and the parish has been fundraising to pay it back with the help of the local Catholic Women’s League and Knights of Columbus. The parish is also anticipating money from the sale of the old church and has set up online donations through its website. At just over 18,000, the population of Camrose has been growing steadily, as people – seniors especially – move in from neighbouring towns. The St. Francis Xavier congregation has also grown, bolstered by refugees and immigrants. The parish has 1,100 registered families, and also serves the surrounding missions of St. Peter and St. Paul in Hay Lakes, St. Stanislaus in Round Hill and the village of Bawlf, where Pederson was raised. Parishioners are eager to move in, said Constantine, the director of faith formation at St. FX who goes only by his first name. “We got a lot of beautiful people receiving sacraments and faith formation but I think being in the new church, especially with the parish hall, will allow us to do a lot more to develop our programs,” he said. 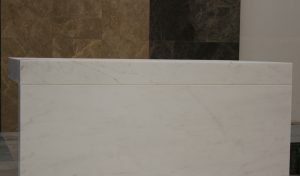 The new St. Francis Xavier church includes building materials that honour its namesake, St. Francis Xavier, including ruby red granite from India where St. Francis was a missionary and an altar made of white marble from Namibia, the southwest African country Xavier passed through on his voyage from Spain to India. The spire stretches 34 metres to the base of a 226-kilogram stainless steel cross. Inside the church, the baptismal font, located at the entry to the nave directly underneath the spire, is central to the design. It is a nod to St. Francis Xavier, who baptized 30,000 people before he died in 1552, on his way to missionary work in China. 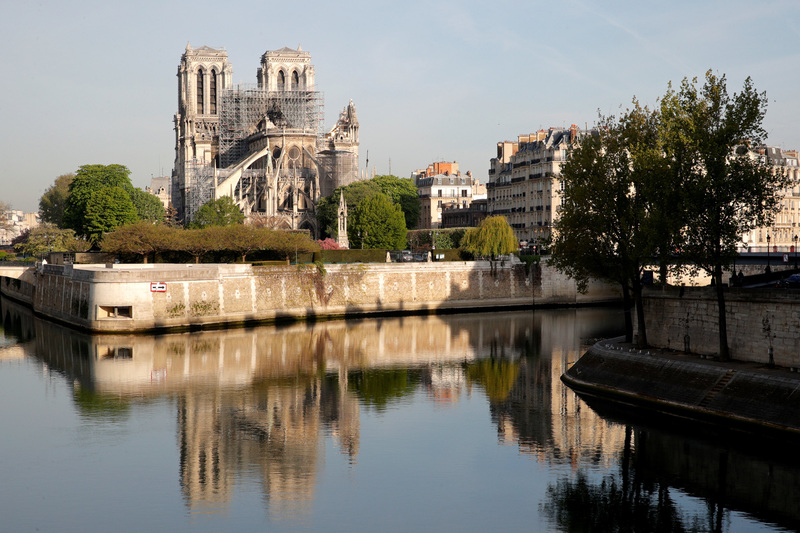 The spire has 19 blue, red, white and yellow stained glass windows, symbolizing baptism, death, resurrection, rebirth and the new life that baptism creates. They will be lit at night from the inside. 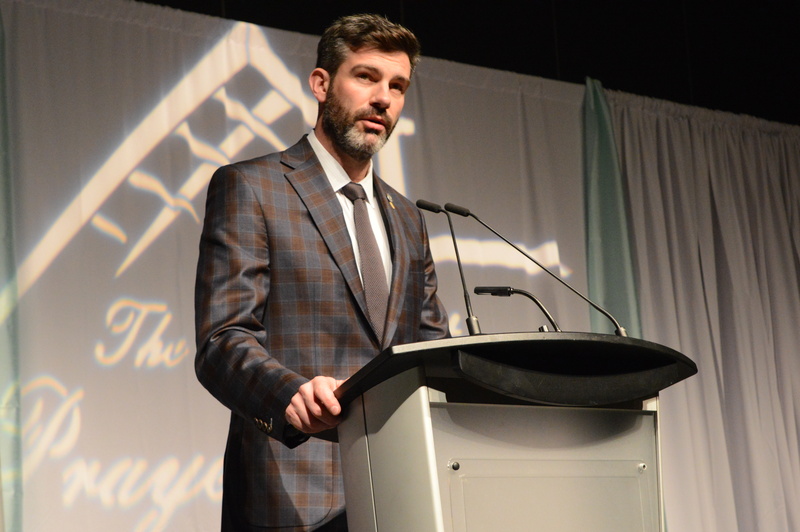 “The spire and the lit cross will be a beacon of light and a testimony of our faith to the people of Camrose,” Pederson explained. Three stained glass windows on the wall behind the sanctuary depict more of the life of St. Francis Xavier and the Jesuit order he co-founded. 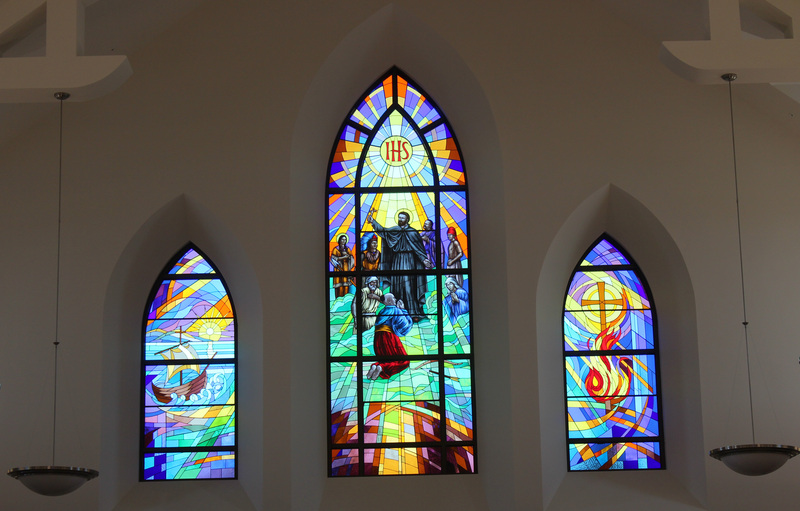 The seven-metre centre window depicts St. Francis Xavier holding a cross. Below and on each side of him are images of people from India, Japan, Indonesia, and St. Kateri Tekakwitha, the first North American Indigenous person to be canonized, who was evangelized by the Jesuits. Parishioners say the new church could not have been completed without their pastor’s efforts. 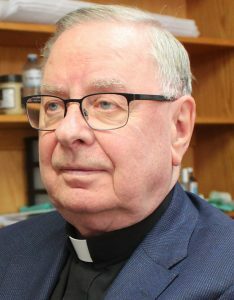 Over the years, Pederson has served as a priest in parishes all over Alberta. Coming back to Camrose in 2009 and shepherding the construction of the new church was special, he said. The dedication date for the new St. Francis Xavier Church is yet to be determined.